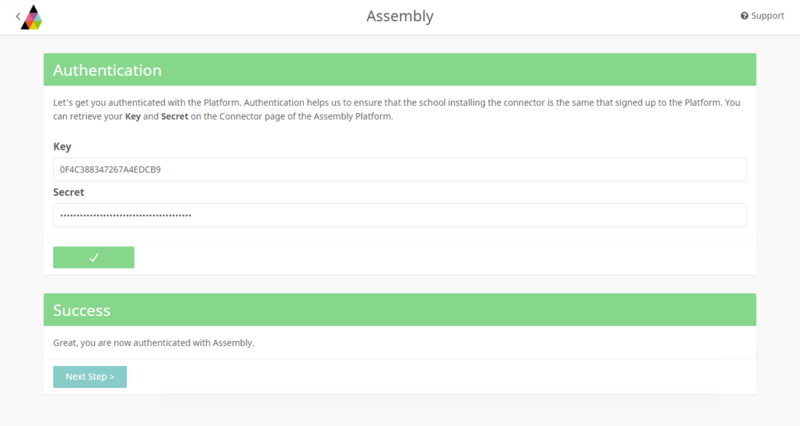 We recommend that the Assembly Connector is installed on your SIMS Server - or at least another server with access to your SIMS. 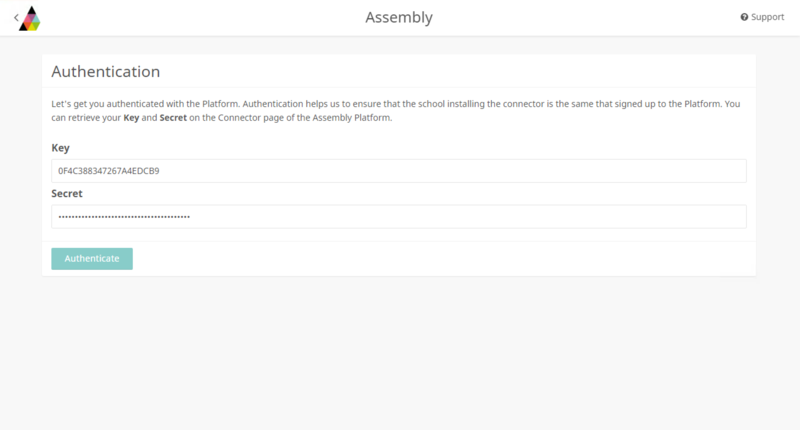 The local system account on the server must be able to access *.assembly.education URLs. If you have network level filtering (such as proxy servers or firewalls), you should add an allow rule for *.assembly.education URLs to the web filter on ports 80 and 443. Please note: the Connector should only be installed on one machine. If you wish to switch the machines it is installed on, you must first uninstall it and then reinstall it on the new machine. 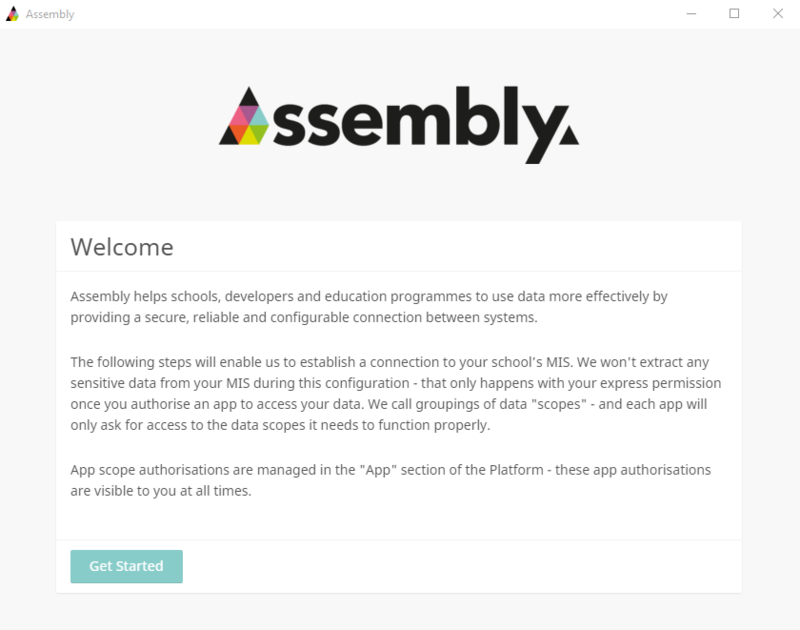 If you get stuck at any point during the installation please contact help@assembly.education or 020 3897 2888 for support and, if necessary, to arrange a remote session with our dedicated support team. 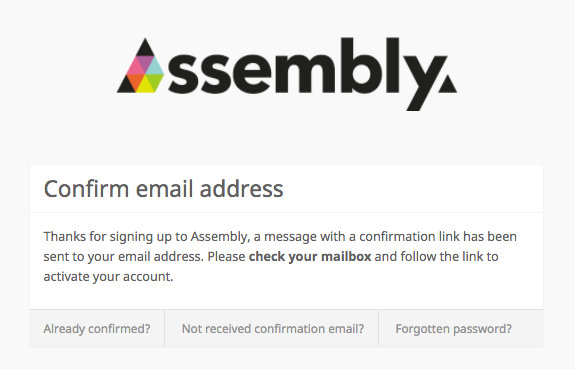 In your browser to navigate to the Assembly platform sign up page. Select SIMS as your school’s MIS Provider from the dropdown list and press Continue. 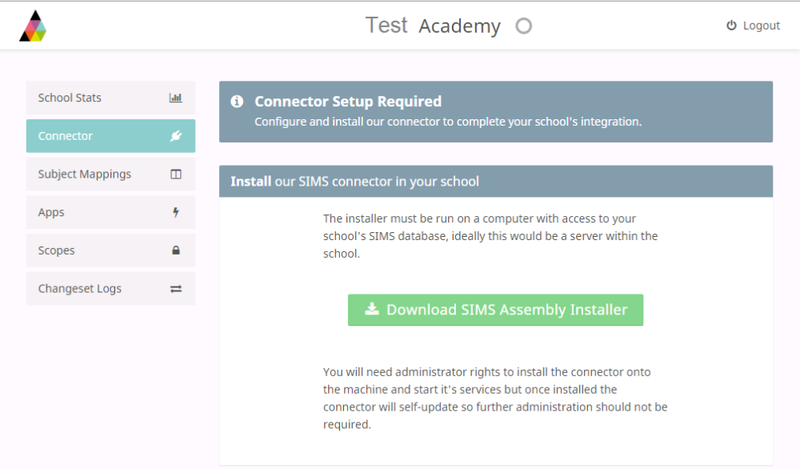 Press the Download SIMS Assembly Installer button to start downloading the connector installation file. Ideally you should install the connector on a server which has SIMS installed on it. If that is not possible, you can use a server or dedicated machine with direct access to your server. Read this guide for more information on acceptable server configurations. You will need to have Administrator privileges for the server on which you install the connector. 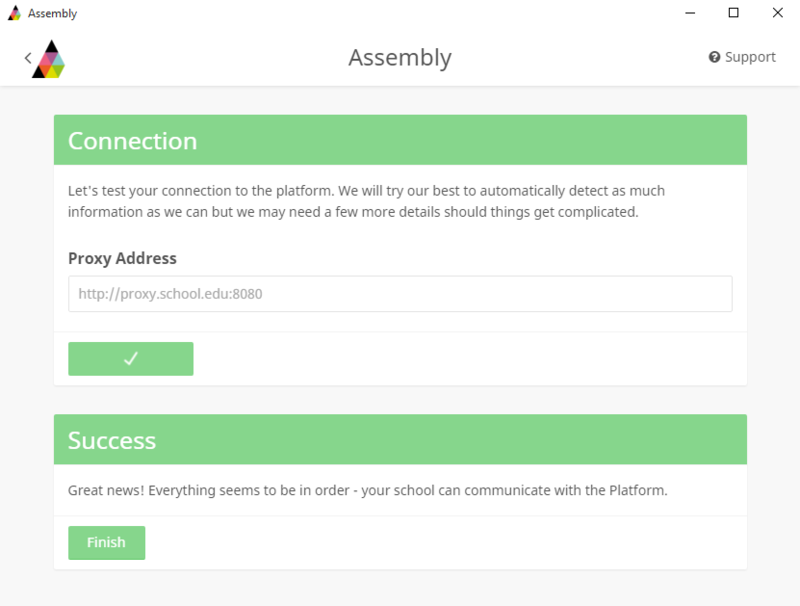 If your school uses a Proxy server, the address (and if, necessary, credentials) should be entered on this page. We will try our best to detect your proxy settings and pre-fill this section. If you have a proxy server and the address is not found automatically, you can get this information by going to Control panel -> Network and Internet -> Internet options -> Connections -> LAN Settings. If you have network level filtering (such as proxy servers or firewalls), you should add an allow rule for *.assembly.education URLs to the web filter on ports 80 and 443, for the local system account. Password: autogenerate a password for the SIMS User. If you manually create a password for the user, it should only use alphanumeric characters (no special characters such as * / <). Hostname: We will try our best to detect this information. If not, you should enter the database hostname. If you run SQL server under a named instance then you should enter this in the following format: hostname\instance (e.g. MIS1\SQLEXPRESS). Database: We will try our best to detect this information. If not, you should enter the database name. This tends to be "sims" but may vary from school to school. 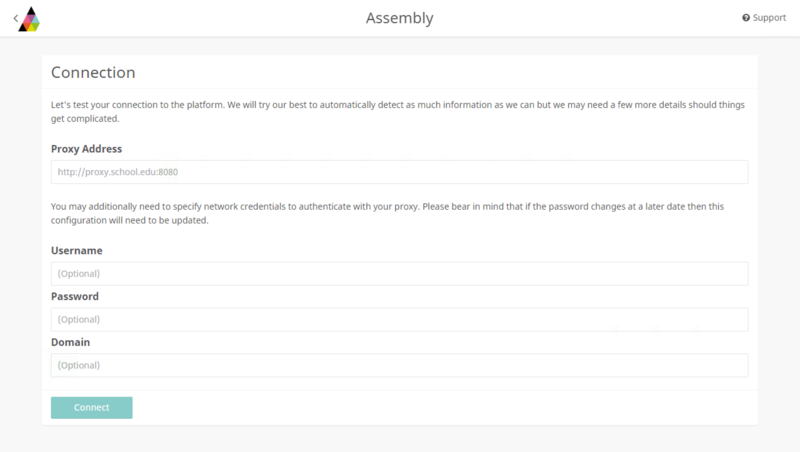 Username: enter the SIMS Assembly username that you created. Password: enter the SIMS Assembly password that you created. Please see this support article to find your SIMS hostname and database name. Once successful, click Finish to complete the process. If you run in to any issues at this point of the installation, please see this support article for potential causes. That's the Connector setup completed. 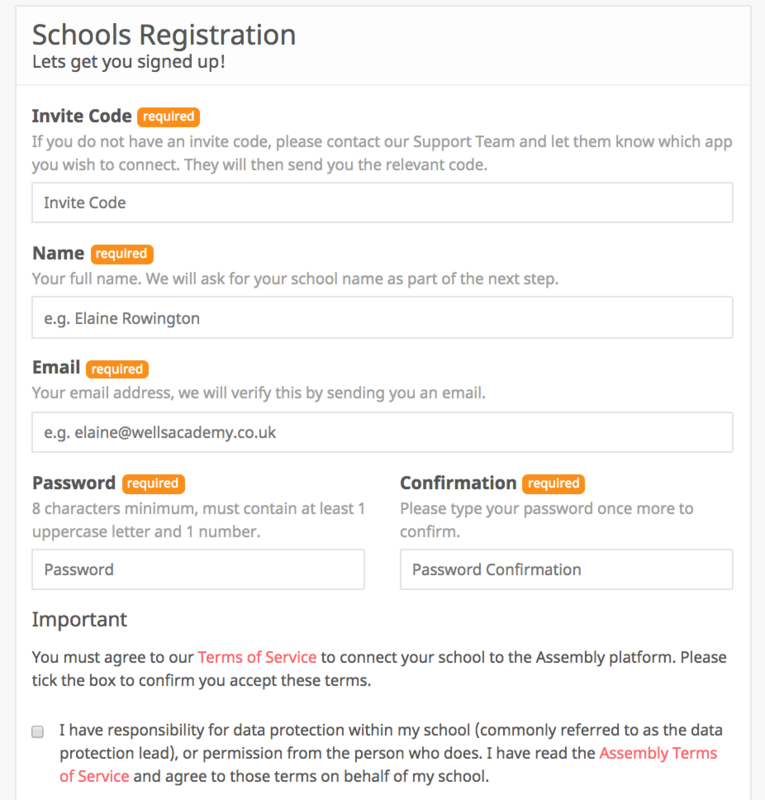 If you plan to use an application that accesses your school's teaching groups, you'll now need to map your subjects and then authorise your app.